The Wall Street Journal 5 June 2018 included a short article on climate change, and how interest in that subject has faded. This fluctuating attitude toward climate change is a classic illustration of the ‘Issue Attention Cycle’ written by political scientist Anthony Downs in 1972, which characterizes the rise and fall of hysteria about things of this sort. Climate change followed the exact same trajectory as those other made-up or grossly exaggerated tragedies. People said in deadly earnest that the earth would be a frozen snowball before the turn of the 21st-century. And then, abruptly, we were all going to fry instead as the CO2 – or was it water vapor? No, no, it was the lack of argon in the atmosphere – that spelled doom for all inhabitants of our incredibly fragile planet. It isn’t that we don’t care. It isn’t that climate won’t change – it most certainly will, that’s what climates do. It is that the usual suspects screaming the usual incitements to panic were doing their usual damage to our national psyche by raising alarm for an issue over which we had no control, as they’ve been doing for decades over any issues ready to hand no matter how trivial or far-fetched. And at the same time, the usual malefactors were beating a path to the bank with the money they had grabbed from all those whose care went as deep as their pocketbooks. That is what this hysteria has become, as all the previous ones also did: a gigantic money grab. 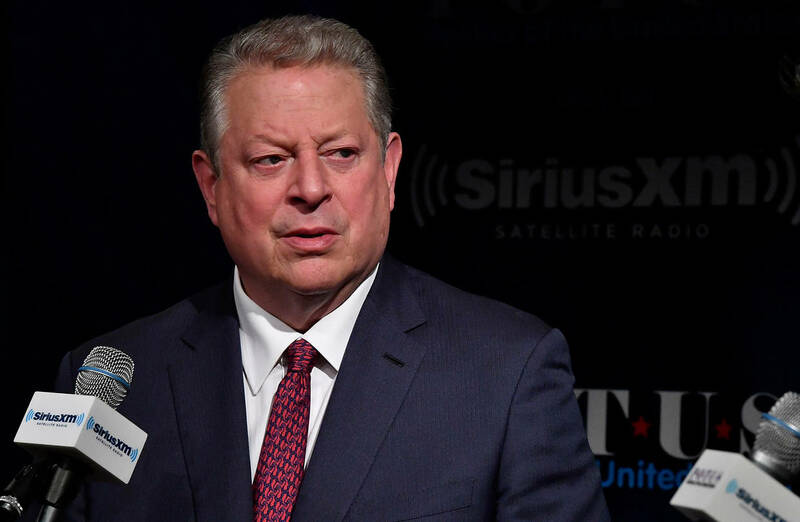 Al Gore is a high priest of that temple; Henry David Thoreau and Theodore Roosevelt are historic members still held in high esteem. The reputations that these people had, themselves, overshadow the more pedestrian efforts of many of their acolytes. John Muir was instrumental in getting the land which was designated Yosemite National Park, but Barack Obama abused the powers of his office to designate millions of acres of Utah and Nevadaas national forests, a ploy to keep petroleum exploration off the land. As this writer remembers it, during the 1970s there was vast concern about the trend since the 1940s of temperatures on earth dropping precipitously. The big concern was that we all would freeze to death and starve along the way as global vegetation died out from the eternal winners forecast. Add to that the Arab Oil Embargo of 1973 and 1978 and there was mounting hysteria across the US. Well, Mr. Spock said so: we can take that to the bank and get our future in Federation Credits. “The Day After,” ABC’s much-discussed vision of nuclear Armageddon, is no longer only a television film, of course; it has become an event, a rally and a controversy, much of it orchestrated. The Grey Lady was a different paper then. The ownership was the Sulzberger family, represented by “Punch” Sulzberger who was a solid news man and ran a tight ship. Things have changed. Arthur Sulzberger has now taken the helm, and the Times is now a mere opinion rag whose editorial policy runs to the far left, automatically giving short shrift to anything Republican or conservative. So, the Times was a harbinger of all the hoopla about climate change, and along with its editorial change came a sea-change in the national mood. In approximately eight years all of the dread surrounding global cooling dissipated. The mind boggles to consider how easily the misconceptions that had been held since World War II were replaced by new misconceptions of a totally opposite nature. Perhaps there was simply more opportunity for bilking the public when they think of a steamy sweaty future then of one where a heavier coat is all you need? We try to illustrate our articles if possible, but in searching for meaningful photographs of global warming, we obtained precisely 0. The content that we did find from CBS News was laughably inappropriate to a world supposedly getting warmer, where the seas would rise and plant life would grow lush. It seems that in the midst of this humid tropical nightmare, there would be pathetic looking children starving, trees bursting into flames – all that rain must make them prone to fire, and the receding shorelines of lakes and the oceans leaving expensive houses high and dry. Weren’t the oceans supposed to rise? It makes us long for the days of Mr. “Fake but Accurate” Dan Rather. With a new fear came a new set of demons: Evil Oil, Nuclear Armageddon, Choking Coal. Burning fuels was at the root of the problem. Fuel= Heat. Simple equation, simple solution – get rid of the fuel, get rid of the heat. The left has been on the warpath about fossil fuels for decades. Coal is nasty and smelly, heating oil is too. Nuclear plants produce nuclear waste which can only be stored away in that mountain that Harry Reid won’t let us use in Nevada. Nuclear plants do something to the environment, don’t they? Or they’re just dangerous. Look at 3 Mile Island! In other words, nothing happened. There was an accident, and in theory it could have been serious, but safeguards put into place at the Three Mile Island Plant worked in spite of all the worst efforts of the incompetent management of the plant. The result was simply the deactivation of the plant and the removal of its nuclear fuel. The NRC report took over a decade to produce. It was a fiasco of major proportion, leading to hysterical fright of nuclear power that is still in existence today. Japan, where there really have been nuclear disasters – Hiroshima, Nagasaki, and more recently, Fukushima – routinely handles the potential problems of nuclear plants with detached aplomb. They have learned to live with it and not be obsessed. The left has a penchant for seizing upon some characteristic of an offending but otherwise beneficent technology and making that into the greatest evil since Beelzebub rose from hell. The mischaracterization of Three Mile Island as a study in everything that is wrong with nuclear power has been successfully marketed and maintained as the definitive study of nuclear evils. In the world of reality, where we need energy sources aplenty, there have been, recently, people wondering out loud the verboten topic, “What’s wrong with nuclear power?” What, exactly, is wrong with nuclear power? Japan, France and many other European countries produce their share, but the largest nuclear producer is the US. 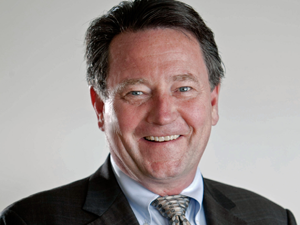 We only hear about nuclear energy when there’s a problem, and there usually are not problems. Nuclear plants do not fit into the narrative of the left that makes fossil fueled energy the demon. So, they make up other things about it and use an ‘almost accident’ nearly 40 years ago to spark opposition to a technology that others around the world are using successfully. Is the globe warming? Maybe. Is it dangerous to our future? Maybe. Is it warming because we burn fossil fuels? Maybe. Will switching to solar energy completely solve our problem? No. How about wind energy? No. How about solar and wind? No. The amount of solar, wind, and hydroelectric (all-renewables) energy in use right now in the United States is about 18% as of early in 2018, this according to Forbes magazine. That 18% number is growing, quickly, but it has a long way to go before it supplants our traditional sources. And the percentage of energy available from those two sources on a cloudy, still day is7% – the hydroelectric component – and always will be unless more dams are built. 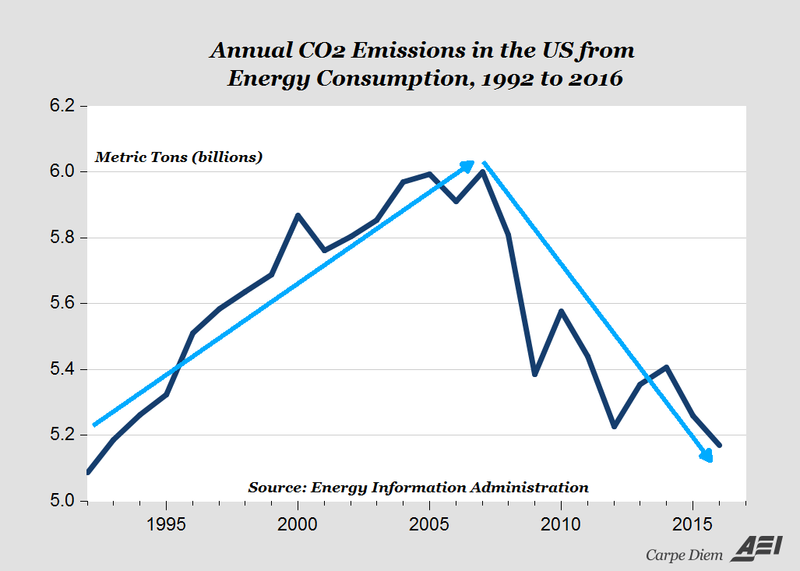 Because of this, the productivity numbers used for aged solar and wind facilities are at best optimistic and at worst utter lies. As we contend with Global Wa – oops – Climate Change, we must remain cognizant of the fact: that if the oceans rise to a point where only the tip of Liberty’s torch remains dry as Al Gore tried to warn us, we will experience the horrors of vast fertile plains populated with the proverbial fruit in quantities that would make a Florida grove owner blanche with envy. Of course the Democrats would figure out a new way to tax our emerging excesses. This, however, is a future that we do not control, filtered by people whose imaginations are uncontrollable. Doomsayers will see a time of gloom, and the rest of us will go about our daily lives, coping as we must with the change as it comes. We do have time: after all, Al Gore’s sea rise would take centuries or at least a century if they ever come to pass. Lady Liberty can be moved to safe ground if that is necessary, and the swelling oceans will render great increases in property values along certain coasts. The Left decided with the help of the mainstream media that, since Global Warming had become a joke, its name had to be changed. After all, the way something is retained in the mind is by its name and, if a name becomes embarrassing, use the Soviet method and change it! So they did. There was no reason to draw attention to the fact that weather is always changing; every TV and radio station tells us that hourly. But it is still all about the money – even the Communists are in it for the money. It doesn’t matter what you call it. Global Cooling, Nuclear Winter, Global Warming – all these buzzwords are merely the strident mantras of the left that call to mind all those things that they need us to give up – namely, the energy that drives modern society and provides the maximum individual freedom to the ordinary person ever seen in the history of the world. Instead, the warmist left is running into the old theme that dates back to the days of Aesop’s story, “The Boy Who Cried Wolf.” It isn’t that people don’t care, just that they’ve heard enough and are sick of it. Chances are that, like Three Mile Island, it’s all Shakespearean: Much Ado About Nothing. Humanity can handle whatever changes come, as we’ve handled the Ice Age, the Black Plague, and Britney Spears: suffering for a time, but bigger, better, and stronger afterwards. If we don’t lose our nerve. But there is also good data showing sea levels are in fact rising at an accelerating rate. The trend has been measured by a network of tidal gauges, many of which have been collecting data for over a century. Melting of glaciers and ice sheets adds water to the ocean and causes sea levels to rise. (Recall though that the melting of floating sea ice adds no water to the oceans, and hence does not affect the sea level.) After the rapid melting away of northern ice sheets, the slow melting of Antarctic ice at the periphery of the continent may be the main cause of current sea-level rise. All this, because it is much warmer now than 12,000 years ago, at the end of the most recent glaciation. Yet there is little heat available in the Antarctic to support melting. 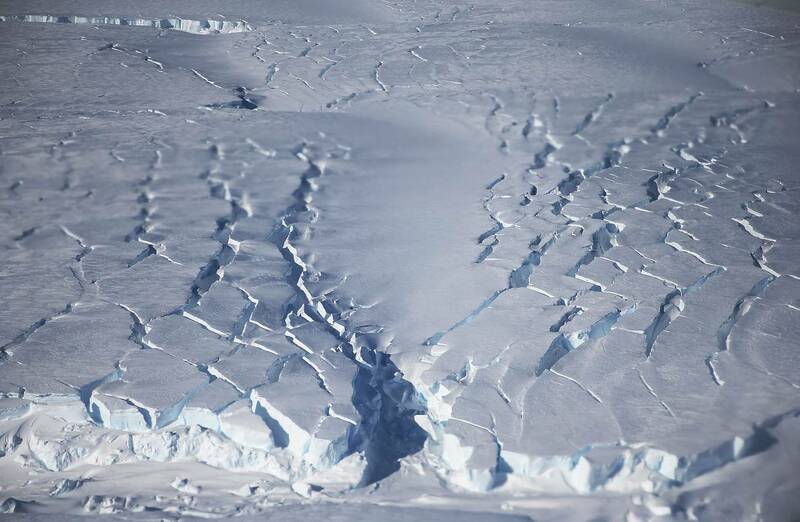 We can see melting happening right now at the Ross Ice Shelf of the West Antarctic Ice Sheet. Geologists have tracked Ross’s slow disappearance, and glaciologist Robert Bindschadler predicts the ice shelf will melt completely within about 7,000 years, gradually raising the sea level as it goes. Of course, a lot can happen in 7,000 years. The onset of a new glaciation could cause the sea level to stop rising. It could even fall 400 feet, to the level at the last glaciation maximum 18,000 years ago. Currently, sea-level rise does not seem to depend on ocean temperature, and certainly not on CO2. We can expect the sea to continue rising at about the present rate for the foreseeable future. By 2100 the seas will rise another 6 inches or so—a far cry from Al Gore’s alarming numbers. There is nothing we can do about rising sea levels in the meantime. We’d better build dikes and sea walls a little bit higher. Appeared in the May 16, 2018, print edition. August 21, 2017: Twenty-eight percent (28%) of Americans think that climate scientists understand the causes of global climate change “very well.” A Pew Research study found that only 19% believe that the climate scientists have a very good understanding of the best ways to address the issue. In general, the study found that Americans trust climate scientists more than politicians on the topic. Two-thirds (67%) believe scientists should play a major role in addressing policy issues on the matter. Most (56%) also believe that energy industry leaders (56%) and the general public (56%) should have a major say in such policy topics. The Pew study, however, also found that people believe there are differences of opinion among the climate scientists. Only 27% believe that there is a consensus on the issue and that just about all climate scientists believe human behavior is mostly responsible for global climate change. Another 35% think more than half hold this view. The survey also explored the degree of trust and confidence in those researching climate science. Thirty-six percent (36%) believe that, most of the time, scientists’ research findings are motivated by a desire to advance their own careers. Only 32% say that they mostly rely on the best scientific evidence. Twenty-seven percent (27%) believe that political views of the scientists generally influence their work. Liberal Democrats tend to express high levels of confidence in the climate scientists and their motives. Conservative Republicans are often quite skeptical. Most other Americans have mixed views. Most Americans (55%) believe that new technology will probably solve most of the problems from climate change. Eleven years after his first climate-change film, he’s still trying to scare you into saving the world. The last major hurricane (Category 3 or stronger) to make landfall in the US was Wilma on November 24, 2005. 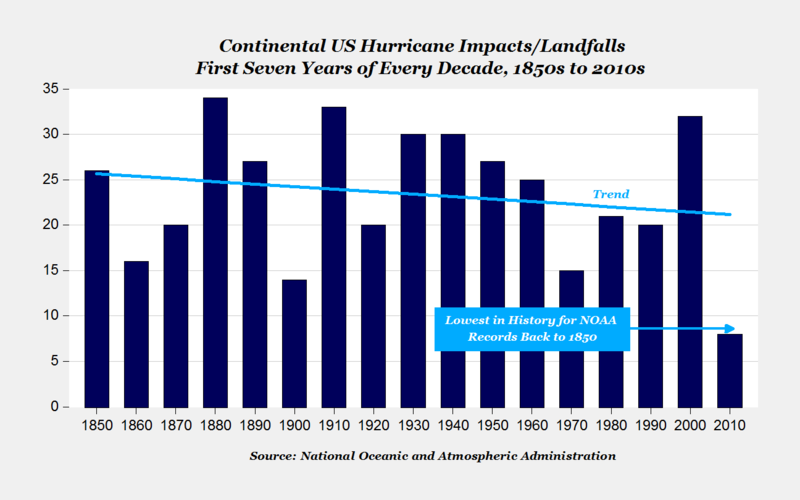 This major hurricane drought [of 11 years] surpassed the previous record of eight years from 1861-1868 when no major hurricane struck the coast of the United States. On average, a major hurricane makes landfall in the U.S. about once every three years. The clean water and air acts, literally, did nothing to give us clean air (the downward trend in pollution levels were not affected by these acts). These things were all ready being cleaned because of economic incentive. These acts didprovide politicians, government bureaucrats, and political cronies with lots of opportunity for graft. The episodic nature of the Earth’s glacial and interglacial periods within the present Ice Age (the last couple of million years) have been caused primarily by cyclical changes in the Earth’s circumnavigation of the Sun. Variations in the Earth’s eccentricity, axial tilt, and precession comprise the three dominant cycles, collectively known as the Milankovitch Cycles for Milutin Milankovitch, the Serbian astronomer and mathematician who is generally credited with calculating their magnitude. Taken in unison, variations in these three cycles creates alterations in the seasonality of solar radiation reaching the Earth’s surface. These times of increased or decreased solar radiation directly influence the Earth’s climate system, thus impacting the advance and retreat of Earth’s glaciers. The first of the three Milankovitch Cycles is the Earth’s eccentricity. Eccentricity is, simply, the shape of the Earth’s orbit around the Sun. This constantly fluctuating, orbital shape ranges between more and less elliptical (0 to 5% ellipticity) on a cycle of about 100,000 years. These oscillations, from more elliptic to less elliptic, are of prime importance to glaciation in that it alters the distance from the Earth to the Sun, thus changing the distance the Sun’s short wave radiation must travel to reach Earth, subsequently reducing or increasing the amount of radiation received at the Earth’s surface in different seasons. Today a difference of only about 3 percent occurs between aphelion (farthest point) and perihelion (closest point). This 3 percent difference in distance means that Earth experiences a 6 percent increase in received solar energy in January than in July. This 6 percent range of variability is not always the case, however. When the Earth’s orbit is most elliptical the amount of solar energy received at the perihelion would be in the range of 20 to 30 percent more than at aphelion. Most certainly these continually altering amounts of received solar energy around the globe result in prominent changes in the Earth’s climate and glacial regimes. At present the orbital eccentricity is nearly at the minimum of its cycle. Axial tilt, the second of the three Milankovitch Cycles, is the inclination of the Earth’s axis in relation to its plane of orbit around the Sun. Oscillations in the degree of Earth’s axial tilt occur on a periodicity of 41,000 years from 21.5 to 24.5 degrees. Today the Earth’s axial tilt is about 23.5 degrees, which largely accounts for our seasons. Because of the periodic variations of this angle the severity of the Earth’s seasons changes. With less axial tilt the Sun’s solar radiation is more evenly distributed between winter and summer. However, less tilt also increases the difference in radiation receipts between the equatorial and polar regions. One hypothesis for Earth’s reaction to a smaller degree of axial tilt is that it would promote the growth of ice sheets. This response would be due to a warmer winter, in which warmer air would be able to hold more moisture, and subsequently produce a greater amount of snowfall. In addition, summer temperatures would be cooler, resulting in less melting of the winter’s accumulation. At present, axial tilt is in the middle of its range. The third and final of the Milankovitch Cycles is Earth’s precession. Precession is the Earth’s slow wobble as it spins on axis. This wobbling of the Earth on its axis can be likened to a top running down, and beginning to wobble back and forth on its axis. The precession of Earth wobbles from pointing at Polaris (North Star) to pointing at the star Vega. When this shift to the axis pointing at Vega occurs, Vega would then be considered the North Star. This top-like wobble, or precession, has a periodicity of 23,000 years. Due to this wobble a climatically significant alteration must take place. When the axis is tilted towards Vega the positions of the Northern Hemisphere winter and summer solstices will coincide with the aphelion and perihelion, respectively. This means that the Northern Hemisphere will experience winter when the Earth is furthest from the Sun and summer when the Earth is closest to the Sun. This coincidence will result in greater seasonal contrasts. At present, the Earth is at perihelion very close to the winter solstice.